Creating arrows diagram with free templates and examples. Arrows diagram has never been easier. Arrows diagram displays the work or activities via arrows, which is very vivid and lively. Arrows diagram is widely used to schedule and monitor activities or tasks in a complex project plan. 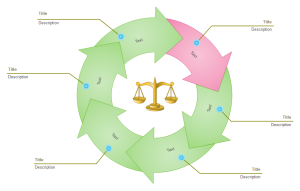 When you know clearly the steps of the project or process, their sequence and how long each step takes, arrow diagram will be a perfect representation of relationship of each step. One thing you should pay attention to is that it only shows finish-to-start logical relationship, which means each activity is completed before the next activity starts. Also, arrows diagram is very useful when dealing with a relational claim. Edraw makes it easy to create arrows diagram to show the required order of tasks in a project or process. With the help of various vector shapes and pre-defined templates, you can draw a professional-looking and beautiful arrows diagram in no time. Simply drag and drop pre-made shapes, and customize to your liking. It has a group of smart editing tools for resizing, rotating, grouping, order, align and distribute, which greatly simplify the drawing process. 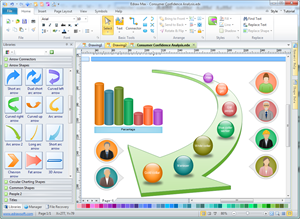 With Edraw, you can also share, publish and export your diagrams. Arrows diagram templates offer you many useful shapes like arrow shapes, arrow connectors and circular charting shapes. 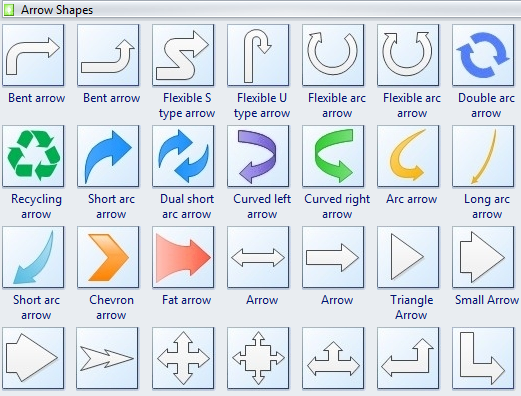 Arrow shapes like bent arrow, line arrow, short arc arrow, chevron arrow, fat arrow, 3D arrow and more are available. Arrow connectors like triangle arrow, small arrow, double arrow, quard arrow, flexible arrow and more are also available. This simple arrows diagram template is quite useful for your own designs because it is smart with automatic functions of adding and deleting arrows. 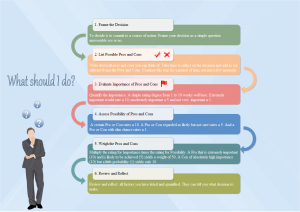 This arrow diagram shows a suggested decision making process to seek for the best decision. 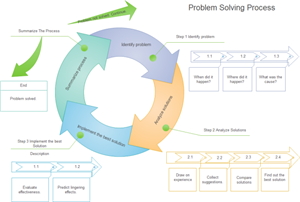 Presented on the left is a simple arrows diagram template which is quite useful for problem solving. It illustrates the process step by step. 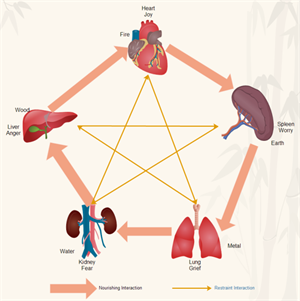 See more details in TCM diagram examples. Arrows diagram are perfect for showing the direction and flow just like the left one. 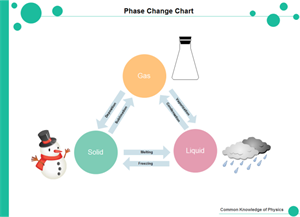 It demonstrates the phase change in a very clear way. See how to create arrow diagrams.